The game of pool is also known as “pocket billiards”. It is a very popular sport in North America. The sport is also played in Parts of the Australian continent and in certain countries in Europe. It is a very sophisticated game played by individuals. There are also several championships in countries and worldwide for the pool, where really famous pool players come to win the championship. The game is played on a table which is called the billiards table or pool table and consist of several colorful balls. There are six balls included games and nine balls included games as well. A pool stick is used to aim the balls at the four corners where there are holes in which the balls should go into. As with any sport, there are different rules to follow when playing the game. The pool is most commonly played by people for fun maybe to chill out on a Friday night or during a holiday with a bunch of friends. But it is also a sport played at a professional level by certain professional pool players dedicated to the game. 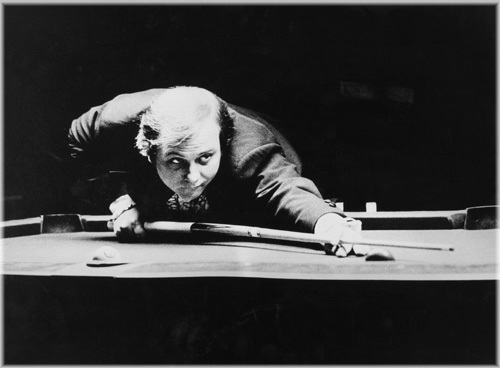 Here we will take a look at the 10 famous pool players of all time. These pool players are selected based on their talent and skills displayed in pool tournaments and matches played from around the world. Ronnie Monroe Allen is an American professional pool player also known by the name of “Fast Eddie”. He was a very famous pool player during the 1960s to the 1980s period. He is renowned as the “one pocket specialist” in the game of pool. Allen has been praised by many people for his ability to play professional pool. No one gets a chance to win for money with Fast Eddie. Ronnie was such a popular figure in the game that he was inducted into the One Pocket Hall of Fame in the year 2004 for his immense contribution to the game of billiards.